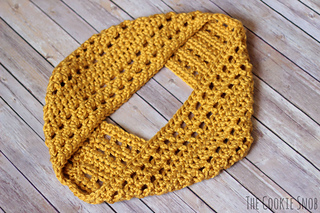 Just in time for Fall, this chunky windowpane cowl crochet pattern will guide you through making a lovely and fashionable cowl of your own. 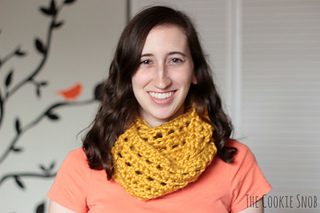 This thick cowl is designed to be worn in two ways: either wrapped around the neck once or wrapped around the neck twice. The pattern is written in English and includes step by step photos along with the instructions. It also includes a printer-friendly version of the pattern at the end, for those who prefer to print out their patterns. 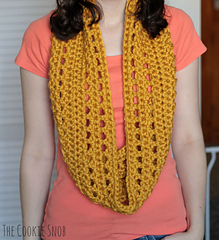 This pattern uses super bulky yarn and an N/P (10.00mm) crochet hook). I used just under 2 skeins of Lion Brand Hometown USA (about 162 yds total) in order to make mine. The pattern uses only basic crochet stitches and is perfect even for beginners. It works up very quickly. For a cowl that measures about 47” long and 7 1/2 “ wide, the gauge is as follows: 3 rows of 5 hdc measures approximately 2 1/2” by 2 1/2”. 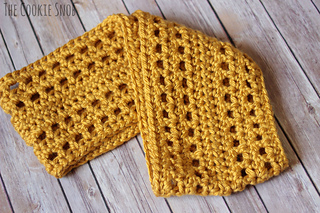 If you come across any questions while working on this pattern, please feel free to contact me directly and I will get back to you as soon as I can.